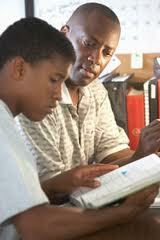 Substance abuse treatment programs can help boys that struggle with drug or substance addictions. Liahona Academy is a treatment center that can help save the lives of boys. If you are the parent of a struggling boy you may be feeling lost or out of hope, you may feel like you may never get your once sweet and well behaved boy back. Liahona Academy can help boys recover and heal from drug or substance abuse issues, behavioral issues, emotional issues, academic problems and family issues. For more information how we can help boys with substance abuse treatment programs call us today at 1-800-675-8101. Substance abuse treatment programs offer help to boys from the ages of 12 to 17 who are struggling with overcoming their addictions to drugs or substances. Unfortunately when boys begin using drugs and substances they do not think of the consequences that come with it. Substance abuse treatment programs can help boys turn their lives around for the better. Liahona Academy offers behavior modification and therapeutic treatment to boys. Often times substance abuse treatment programs like Liahona Academy have weekly therapy groups for substance abuse. These therapy groups help boys realize that they are not alone with the struggles they face. Substance abuse treatment programs can help boys receive the therapeutic treatment and intervention that they were not willing to be apart of before. Liahona Academy offers group, individual and family therapy to boys. In substance abuse treatment centers boys are more willing to talk to therapists because of the residential setting. boys get to know their therapist and become more open. Liahona Academy helps prepare boys with a home plan that helps prevent relapse. Substance abuse treatment programs are unlike most rehabs. Treatment centers like Liahona Academy are residential treatment facilities, and are long term treatment. This means that boys live within the treatment center and provided with a positive daily schedule. For more information or immediate enrollment call us today at 1-800-8101.